One of the top video games released in 2002 was undoubtedly The Elder Scrolls III: Morrowind, an epic and sprawling role-playing game with a deep story and countless quests that ended up becoming a huge success for Maryland-based video game company Bethesda. Morrowind was not only a big hit on PC but also did well on consoles, as it was ported to the original Xbox console as well. 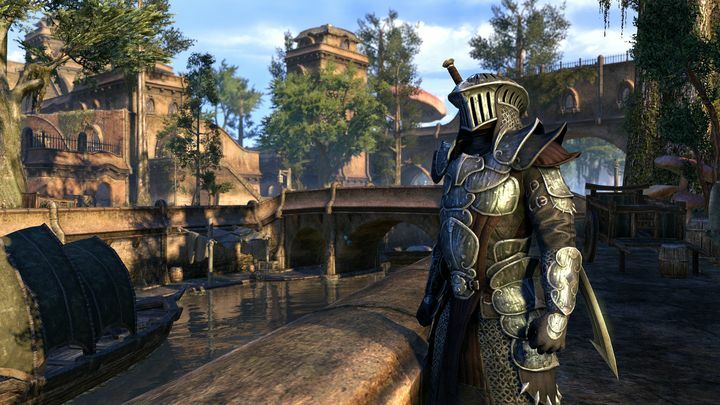 And fans of the Elder Scrolls series will no doubt be happy to hear that an expansion for the The Elder Scrolls Online taking place in the fantasy world of Morrowind will be released for consoles and PC this year, as was recently announced by Bethesda. While the original Morrowind was a single player game, though, the upcoming Elder Scrolls Online: Morrowind is an add-on for Bethesda’s Elder Scrolls Online game, which obviously has a multiplayer focus and is similar to the likes of GTA Online, but takes place in the typical medieval fantasy world of Bethesda’s games seen in video games like Skyrim. Actually, this new Morrowind game takes place in the land of Vvanderfell (and island within the province of Morrowind), and like previous expansions for The Elder Scrolls Online will likely offer plenty of quests to solve, guilds to join and enemies to defeat together with other players online. Of course, those who are not fans of The Elder Scrolls Online will be disappointed that Bethesda is not planning to remaster the original Morrowind game or its successor The Elder Scrolls IV: Oblivion, although those longing for more single player Elder Scrolls did get the Skyrim remaster last fall though. Plus there’s also the upcoming fan-made remaster Skywind, which is looking quite promising, and will let players enjoy the original Morrowind with updated graphics and audio. So this could definitely be a year to remember for fans of The Elder Scrolls series, particularly if Bethesda’s upcoming The Elder Scrolls Online: Morrowind expansion proves to be as popular and fun to play as the original Morrowind game was back in the day. Note: The Elder Scrolls Online: Morrowind will be released on June 6, 2017. Available on PS4, Xbox One and PC.